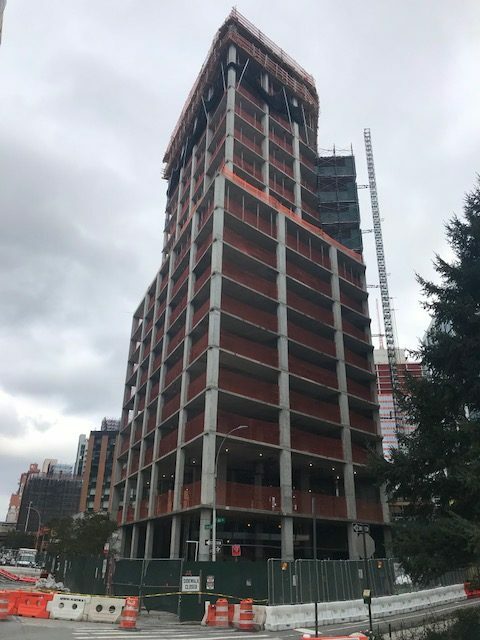 In October, we checked in at Rockrose’s newest Court Square project at 43-12 Hunter Street and saw that construction had reached its halfway point.1 When we stopped by last week, we saw that construction is nearly topped out, with construction reaching the 16th floor, as seen in the photo below. Permits approved in December call for an 18-story mixed-use build back in what used to be called “The Lot.”2 Construction will last about two years, with an anticipated delivery date in the fourth quarter of 2019. 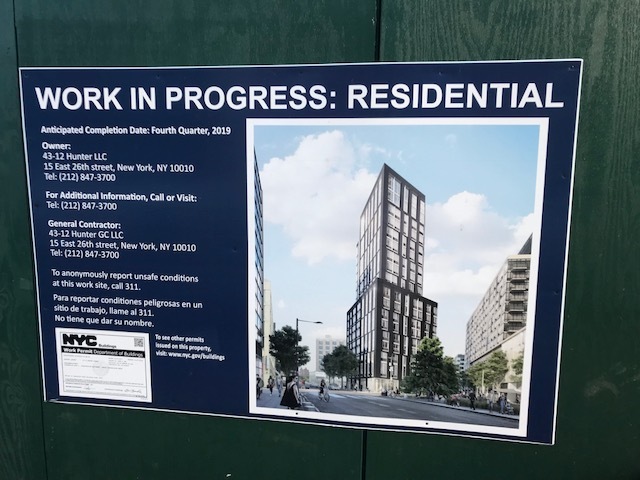 The proposed building at 43-12 Hunter Street would feature 123 units across 86,560 square feet, according to permit application filed with the city Thursday. There are also plans for 4,000 square feet of retail space, as well as a lounge, an exercise room and a rooftop terrace.